Recently a client asked us this question. It’s damn good question, especially if you work on joint project, in a team, where success depends on overall performance of the group. 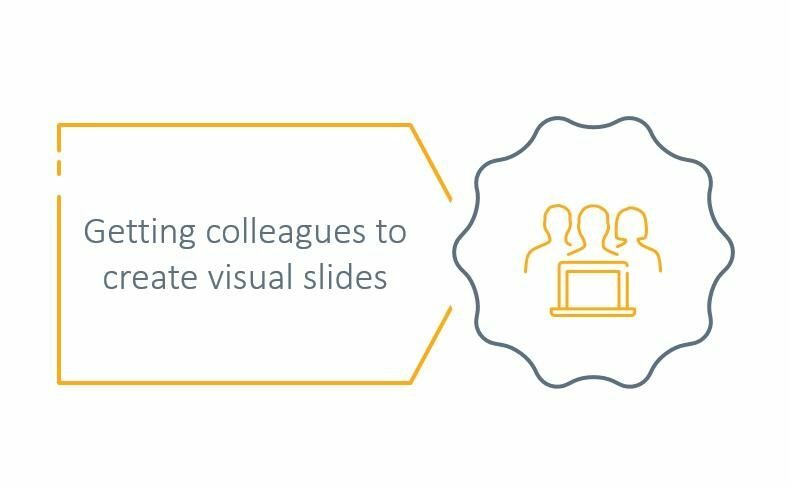 Explain that visual slides are much more effective in passing the content. 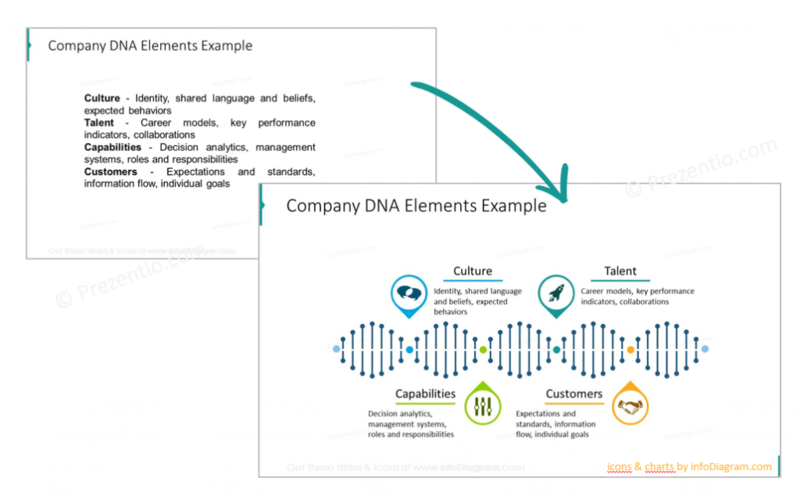 Show examples of both presentation types. See some such slides examples below. 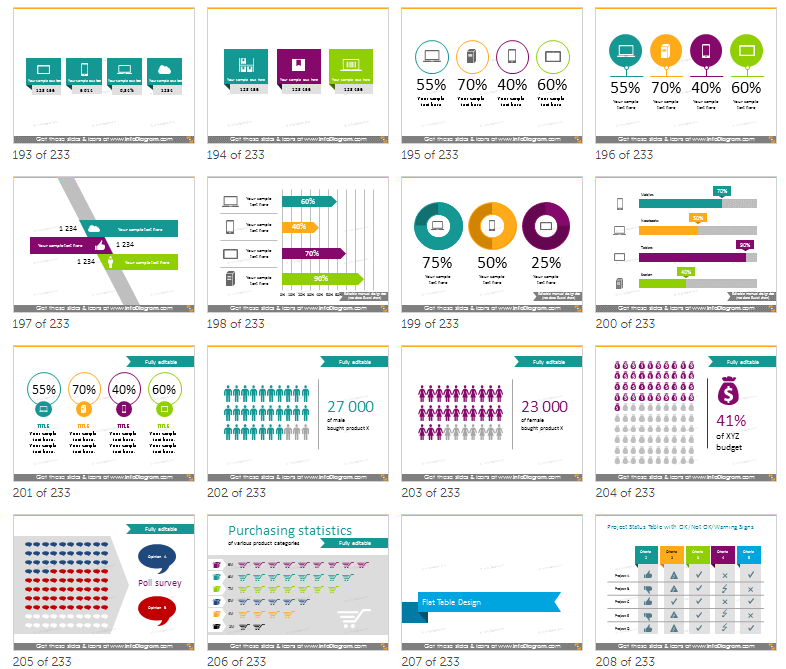 Build a visual slide deck – collection of visual slides they can reuse, so they don’t need to start always from scratch. This is a big timesaver. 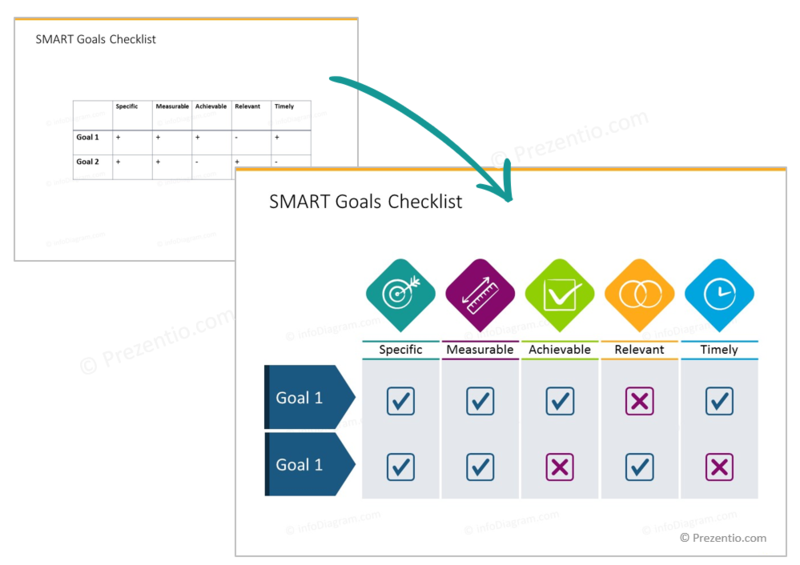 Check this article “How to speed up work with PowerPoint with free slides library” on how to build such slide library. There are some awesome books worth to give out, about art of slide design or visual thinking in general. Gene Zelazny – Say it with a Charts. Or send them to a visual thinking training, Dan Roam having an interesting online Academy (NapkinAcademy.com) or there is one interesting on Sketchnoting technique VerbalToVisual.com . Of course, you can consider also getting our Slide Design course that includes elements of visual thinking, in context of slide making. Hope that gives you some ideas for start. PS. If you have any slide design related question, share in comments or contact me directly, I’d love to help.